Movember K1 Party – Ready, Set, ‘Mo! During November each year, Movember is responsible for the sprouting of moustaches on thousands of men’s faces, in the US and around the world. With their Mo’s, these men raise vital awareness and funds for men’s health issues, specifically prostate and testicular cancer initiatives. To learn more about Movember please click here. 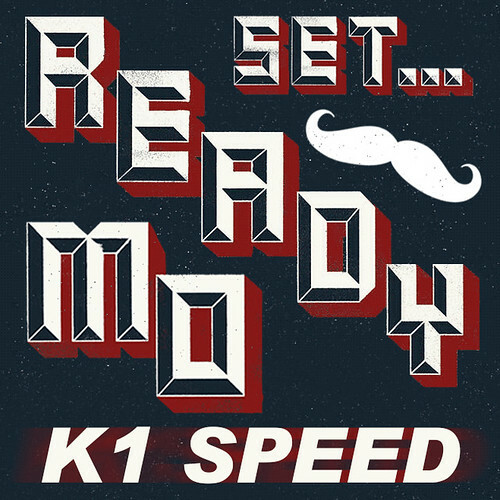 K1 Speed has joined the cause and is hosting a Movember K1 Party! Join us for a fun night of racing! Purchase a race and get a raffle ticket to win prizes! Raffle items will be announced at 9pm. So make sure you’re present. SHOW OFF YOUR MOUSTACHE WITH PRIDE!